If you're shopping for a powerful and refined new mid-size sedan that has all of the latest technology and safety features at an affordable price, then the all- Nissan Maxima mid-size sedan should already be high on your test drive list. Nissan's popular Maxima sedan has been completely redesigned for 2016, with a stunning new look, inside and out. You can find the latest version of Nissan's "four-door sports car", the 2016 Maxima, at Rountree Moore Nissan, serving Lake City, Live Oak, Lake Butler, Jasper, Fort White. If you've been thinking about getting behind the wheel of this popular mid-size sedan, visit our showroom today to test drive the redesigned 2016 Nissan Maxima today! Let's see how the 2016 Nissan Maxima compares to its rival from Toyota, the Avalon. Both the Maxima and the Avalon are equipped with 3.5-liter V6 engines as standard, but when you compare power and performance, it's not so close. The 2016 Toyota Avalon's 3.5-liter V6 engine provides 268 horsepower and 248 lb-ft of torque. Those figures certainly make the Avalon competent as a large sedan, but you can have much more of a thrill behind the wheel of Nissan's "four-door sports car", the 2016 Maxima. The 2016 Nissan Maxima's 3.5-liter is significantly more potent than the Toyota's. Providing a commanding 300 horses and 261 lb-ft of torque, you'll absolutely forget that you're in a spacious five-passenger sedan when you step on the gas pedal of the 2016 Maxima. The powerful and capable Maxima still achieves an EPA-estimated 22 city and 30 highway mpg. Smooth and efficient shifting is possible thanks to the silk-like shifting of the Maxima's latest Xtronic CVT continuously variable transmission. The Toyota Avalon's less-potent engine comes paired with a 6-speed automatic transmission; it does the job but it won't rival the smoothness of Nissan's Xtronic CVT. Nissan's are known for performance, but also for offering serious technology at an affordable price. 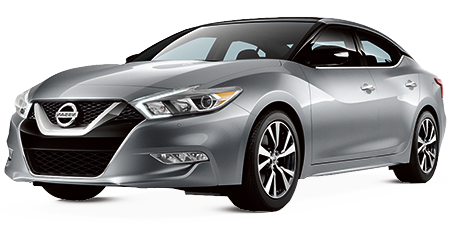 The 2016 Nissan Maxima sedan is certainly no exception. Every 2016 Maxima comes standard with the latest high-tech features from Nissan like NissanConnect with Navigation system, complete with a huge, 8-inch color screen display. A Remote Engine Start system with Intelligent Climate Control also comes standard. None of those features come standard on Toyota's 2016 Avalon. In fact, you'd have to get similar features as an option or step up a trim level or two. Either way, these standard features on the 2016 Maxima will cost you more to get if you choose the Avalon. If you're shopping for a spacious five-passenger sedan, chances are you transport family or other people in your vehicle regularly. Well, for the safety of you and all of your passengers (not to mention everyone else out on the roads), you should consider the 2016 Maxima's forward-thinking safety features. For instance, the available Predictive Forward Collision Warning (PFCW) system alerts Maxima drivers to potential risks up ahead by monitoring up to two vehicles in front of you. Yes, you read that correctly -- not one, but two vehicles ahead! Maxima's Driver Attention Alert system monitors your steering patterns, and will alert you with a chime and lit up coffee cup icon if it's detecting unusual steering activity that may indicate driver fatigue. Sadly for Avalon drivers, these features aren't even available on Toyota's rival sedan. If you believe in the power of active safety features, choose the Nissan Maxima! With the added power, performance, technology, and safety features, it'd be safe to assume that the stunning 2016 Nissan Maxima costs a bit more than the underperforming Avalon, right? Well, that's actually not the case at all. Believe it or not, the starting prices for both a base 2016 Maxima and a top-of-the-line Maxima model both start at a lower price than the comparable models from Toyota's Avalon. 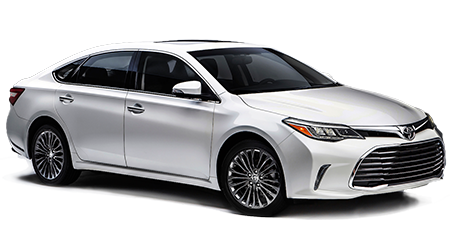 Unfortunately for the Toyota Avalon, the term "less is more" doesn't apply here. When you choose the 2016 Maxima over the Avalon, you get more of the things drivers want - power, performance, technology, and safety - for less money. Sounds like a no-brainer! Did we mention that every durable new Nissan is also backed by a 36-month/36,000-mile limited vehicle warranty, and a 5-year/60,000-mile limited powertrain coverage plan? Choose value, choose Nissan! If you live near the cities of Lake City, Live Oak, Lake Butler, Jasper, Fort White and are shopping for a new mid-size sedan, be sure to check out the 2016 Nissan Maxima at Rountree Moore Nissan. Our dealership is located at 4262 W US Hwy 90, in Lake City, FL. Stop into the showroom today, or feel free to browse our entire inventory of Nissan Maxima mid-size sedans and other Nissan vehicles right here on our website.